The International Air Transport Association (IATA) has announced industry performance statistics for 2017, stating that air passenger numbers in Africa has risen by 6.6% from what it was in 2016. IATA in its World Air Transport Statistics released recently states that Africa has 88.5 million passengers in 2017 which is up 6.6% over 2016. IATA states that worldwide annual air passenger numbers exceeded four billion for the first time, supported by a broad-based improvement in global economic conditions and lower average airfares. At the same time, airlines connected a record number of cities worldwide, providing regular services to over 20,000 city pairs* in 2017, more than double the level of 1995. Such increases in direct services improve the industry’s efficiency by cutting costs and saving time for both travelers and shippers alike. “In 2000, the average citizen flew just once every 43 months. In 2017, the figure was once every 22 months. Flying has never been more accessible. And this is liberating people to explore more of our planet for work, leisure and education. 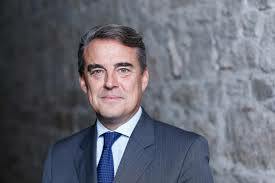 Aviation is the business of freedom,” says Mr. Alexandre de Juniac, IATA’s Director General and CEO. Furthermore, IATA states that global cargo markets showed a 9.9% expansion in freight and mail tonne kilometers (FTKs). This outstripped a capacity increase of 5.3% increasing freight load factor by 2.1%.